Polar’s latest GPS bike computer, the Polar M460, features advanced power meter compatibility and power metrics. Featuring a sleek, all-black and fibre-like surface texture with improved button grip, the bike computer is equipped with integrated GPS, additional power meter compatibility, advanced power metrics and smart coaching, and Strava Live Segments. Jason Crowe, Polar Cycling Product Specialist, said “Polar is no novice player in the cycling game, and we prove that with the introduction of Polar M460 to our cycling product portfolio. 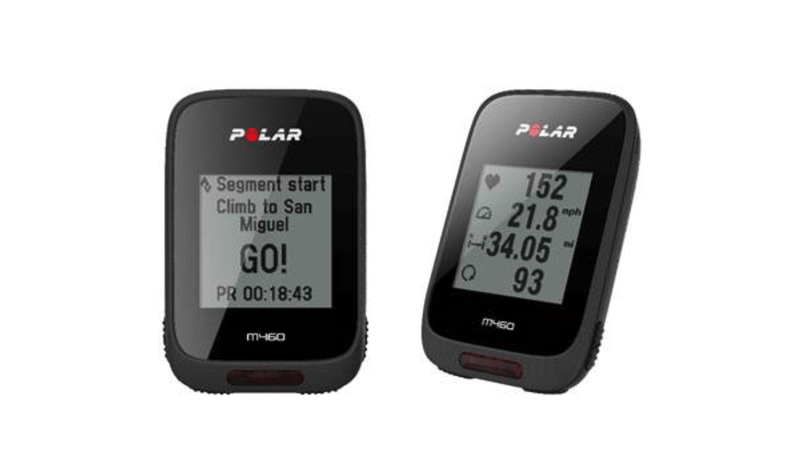 The Polar M460 will be available in April from $179.90/€179.90/£154.50 and includes a two-month Strava Premium membership. Combined with the Polar H10 heart rate monitor, the Polar M460 is priced at $229.90/€229.90/£199.50. The versatile Polar M460 boasts integrated GPS and a barometer-based inclinometer, compatibility with an extensive list of third party power meters and advanced cycling power metrics, such as Training Peaks’ Normalized Power, Intensity Factor and Training Stress Score. Additional features include IPX7 rating water resistance, a battery life offering 16 hours of training and front LED light. When Polar M460 is paired with the new Polar H10 HRM, athletes can benefit from leading heart rate technology, designed and tested for reliability, as well as Polar’s exclusive Smart Coaching features via Polar Flow. These features include Fitness Test; which enables athletes to gauge their current fitness levels and track progress along the way, Training Load; which shows how a ride affects an athlete’s body, Orthostatic Test; which shows how an athlete’s heart rate responds to training and factors such as stress and illness – and Recovery Status; which helps athletes find the perfect balance between training and rest.